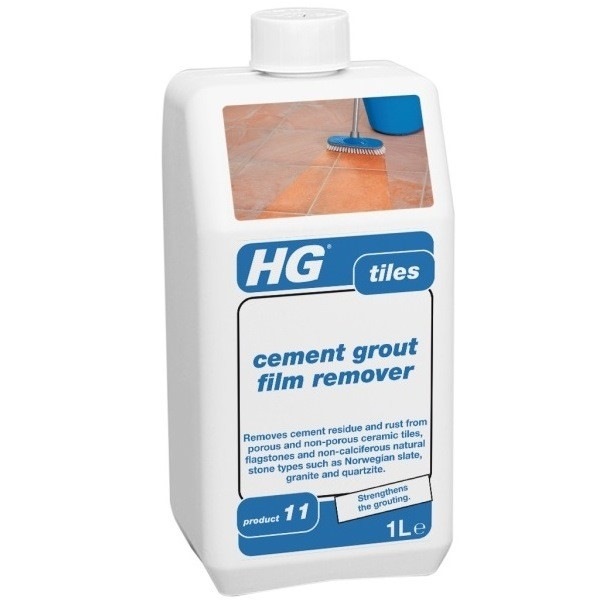 HG cement grout film remover (HG product 11) removes cement residue from all types of porous and non-porous ceramic tiles, flagstones and non-calciferous natural stone types such as Norwegian slate, granite and quartzite. The unique aspect of this product is that it dissolves cement from the tile surface but not the cement from the grouting. 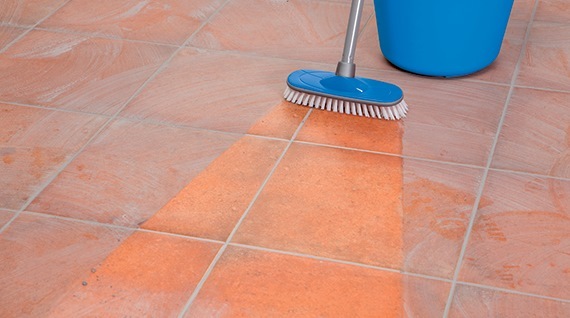 The grouting is even reinforced!